A disorganized business can lead to a congested work flow. You don't want a situation where employees don't know how to find files and the priorities of office tasks are out of order. That is why it is important to have an organizational system in place. Below are four tips on keeping up with the flow of work. The first step to developing an organizational system is figuring out what you want to accomplish. Do you want to purge the office of old or useless stuff? Do you want to create an easier way to find paper work? Do you want to have decent storage for your files? Do you want a dashboard system to present business intelligence to you? Take notes on what your goals for organization are. Then re-list these goals in the order of what should be the most prioritized. Once you have a clear list of priorities in mind, it is much easier to follow through with them step by step. A tidy environment is much easier for employees to work in. Go through every physical belonging and decide whether you actually need it in the office. Throw out any supplies, tools and furniture that is broken or no longer in use. De-clutter the break room and cubicles. Ask employees if they have any stuff they should throw out. While you are going through office items, think about the best areas for them to be placed. For instance, a coffee mug would fit more in the kitchen then it would on a desk. A set of files should be placed in a drawer rather than on the floor. Establish a system where everything has a designation. Organization shouldn't just stop at the physical items, though. Sift through all of your electronic files and pinpoint the files that you don't need anymore. Too many files on a server can actually slow everything down. You want to have fewer files so that when you are looking for a specific file, it takes less time to find it. Nowadays most businesses are going paperless and storing their information on computers. This is largely due to the convenience and systemic organization that technology offers. 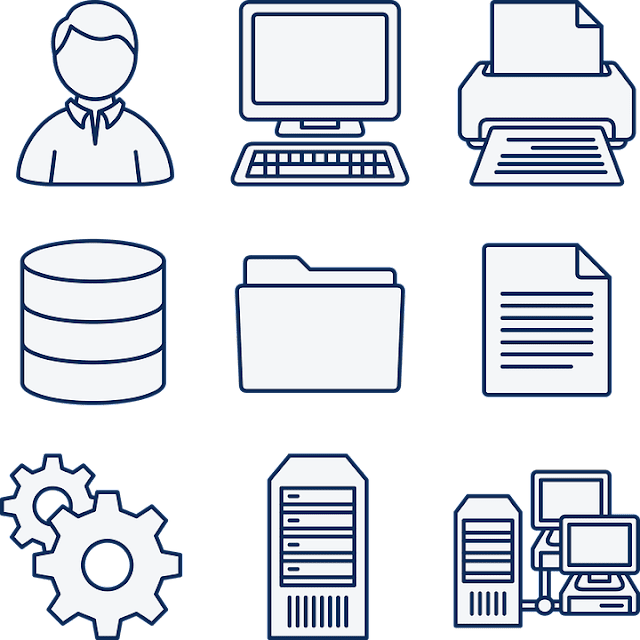 It is up to you to come up with an efficient way to store your own enterprise's information, and you have a variety of options to choose from. Cloud storage is one popular route that entrepreneurs are taking. You can store and share digital files through an online host. Another effective tool for organization is the executive dashboard. This dashboard goes beyond just storing your data: it organizes performance intelligence in a way that is easy to understand. Executive dashboards can take information from different sources and departments and display it for easy navigation and integration. In the first step, it was mentioned that you should develop a written list of goals to accomplish. The final step is to follow through with every goal in a timely and effective manner. Create a schedule for each task that you want to complete. Also be sure to time your tasks, so that you stay productive and don't waste too much time on one single thing. It is easy to become distracted with a problem and lose sight of your overall set of objectives. Sometimes, organizing a business can get hectic or tiring, which is why you can always delegate responsibilities to employees. Maybe you are not the most organized person, but that shouldn't stop you from keeping the business tidy, simplified and productive. You just have to have the right tools and work ethic at hand. I hope you enjoyed this article about ways you can help organize your digital files and workplace on a budget.